It is always nice to have a little vacation every now and then, there is no doubt on that! 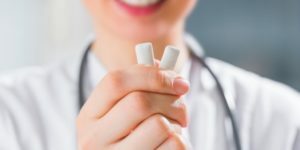 But when we are far, far away from our home, it can be kind of difficult to find time or even think about keeping our oral habits while on our travels. Thankfully, we have asked our Los Algodones dentists about the best tips to carry out in those scenarios! We will be telling you about what to do to prepare for your travels and keep a wonderful smile. Preparing for what is coming next is vital if you want to succeed. As such we give you several tips to remind you and keep you informed on what you should think about and do to be on your watch. As you will not be long away from home, it is best to minimize the space everything can take. Luckily for us there are small toothbrushes and small toothpastes suited for your travels available in Los Algodones pharmacies. These compact tools will prove useful and efficient whenever necessary. As a plus, they will also not take a bunch of space, which we know very well it is limited! As you know, everything will likely be all over the place. 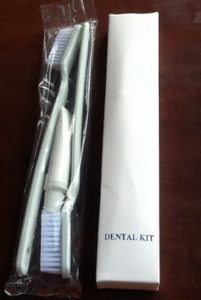 For this we suggest to pack everything involved in your oral care in a single bag. Getting everything in one trusty bag will make it easier to transport, find and use when you head to a restroom. Remember to dry off your toothbrush properly to not breed any unwanted bacteria. Sometimes, water will be scarce as you are heading out in your travels. This is where a bottle of water can be very useful. Many of the tasks involved with oral care also need a reliable source of water. So if you find yourself in a facility where the water supply is questionable or nonexistent, then you will have your backup plan. Then we have some tips to help you get the best oral health during your trip. It is almost unthinkable to think of visiting somewhere and not trying the local sweets. It is like they are calling us to try them and build experiences. That is why we suggest to be mindful about them, it is perfectly fine to consume them, but do not let that sugar sit in your mouth for long periods of time! Rinsing your mouth with water or mouthwash while you are unable to visit a restroom might prove very useful for these scenarios. This is one of the most underestimated tips while on your travels. A pack of gum with xylitol as its sugar substitute can keep your teeth clean and healthy on long trips! Many studies have found out how helpful sugarless gum can be when it comes to oral health. It helps getting rid of food and bacteria while also increasing saliva production. Saliva is an important asset in the environment of our mouth as it halts bacteria production and helps against plaque. We hope these tips help you and remember to not miss brushing twice a day as well as flossing. Daily oral habits are essential for not only keeping a healthy smile, but also to keep your breath fresh! No Replies to "Taking Care Of Your Teeth On Your Travels"